Stunning Grady Cook designed home! 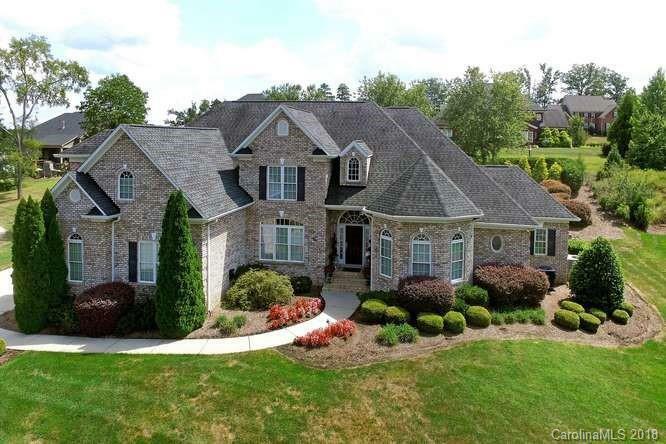 Custom built & situated perfectly on private cul-de-sac, in Abbington, one of Harrisburg’s finest sought-after communities. Quality features throughout with extensive crown molding, wainscoting, cherry wood built-ins, hardwoods, & much more! Elegant formal LR & DR areas w/hand painted stencil finishes. Luxurious master suite w/triple trey ceiling, heated floors, sauna, three walk-in closets, & double vanity sinks. Enjoy the convenience of a guest suite on main, soaring two-story great room w/marble hearth gas FP. Open flow into morning room/breakfast area w/Gourmet Chef's kitchen featuring custom cherry wood, Tommy Smith designed cabinets, w/underneath lighting, pull outs, granite, SS Appliances, & built-ins. Bonus w/½ bath, wet bar, & storage galore! Sunroom opens to rear dual patios w/prewired surround sound also throughout. 3-car garage, w/ epoxy flooring, & built in cabinetry. Conveniently located to I-485, uptown Charlotte, great schools & more! Selling Office: Lake Norman Realty, Inc.